It’s been a while we did a software giveaway here at 3ptechies. We plan to improve on this going forward. Today’s review/freebie giveaway is about AnyTrans Android PC suit, a phone management app for smartphones and/or tablet devices. 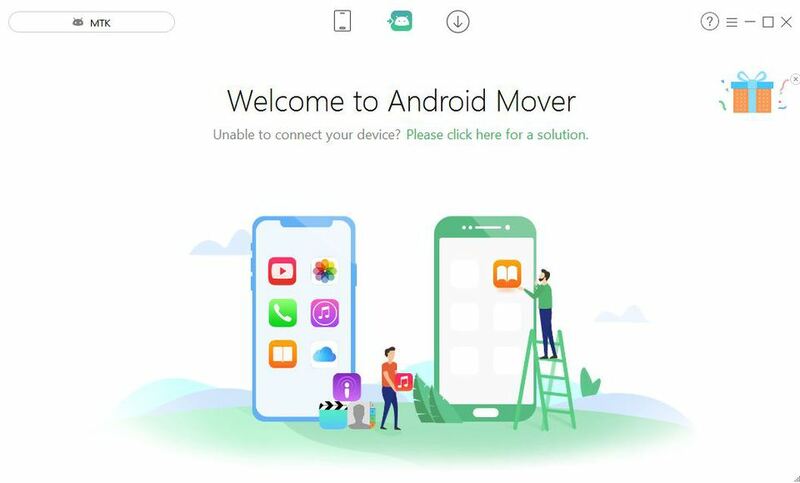 Although, there are many Android apps to transfer files in-between devices – but they all come with one or more limitations. In this short review, I’ll be discussing about AnyTrans for Android; a premium Android device manager with lots of modern features. iMobie AnyTrans for Android is a comprehensive file management program designed to accommodate all smartphone type (iOS, Android, etc). It lets one copy files/apps from one Android device to another and/or between PC and mobile devices. It allows one to clone all settings and files from one Android device to another in just a few clicks. With iMobie AnyTrans for Android, you can view and manage your phone’s local backup files. 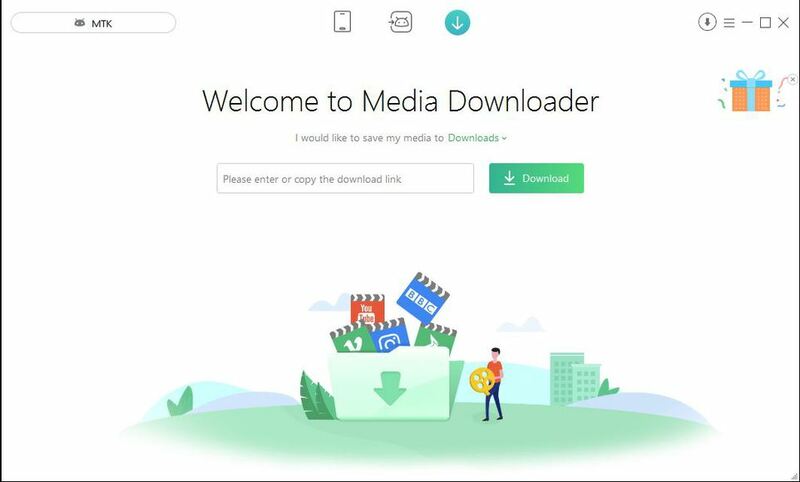 AnyTrans for Android comes with a media downloader which lets you download videos from various video streaming websites like YouTube, Facebook, DailyMotion, etc and make them fully accessible offline. It is a safe and secure app to use. It passed a comprehensive virus scan from Malwarebytes Anti-Malware app and integrity test with Microsoft Security Essentials. There are lots of features/functions that’s built into this software. Already we’ve seen and understand its main function as a premium Android device manager. Now let’s see what else AnyTrans has in-stock for us. AnyTrans for Android comes with a bonus function called Android Mover. This function lets your transfer files/data from an iOS device to an Android device and/or vice versa. AnyTrans for Android has a Media Downloader; this feature lets you download online videos from various online streaming websites (like– YouTube, DailyMotion, etc) and make them fully available/accessible offline. With AnyTrans for Android media downloader, you can easily make your favorite videos to become accessible offline with ease. Just copy the video URL and paste it in the rectangular box, then hit the download button, that’s all. This is a paid (premium) Android software but don’t worry, the price is not breath-taking. AnyTrans for Android costs around $39.99 for a single user license, $59.99 for family license and $99 for business license (up to 10 computers). Looking at the functions (discussed above), I’d say: it’s worth the price. What would you say? First, download the .exe software file from the company’s official website. (in a pop-up dialog box) AnyTrans will request you to download/install the device(s) driver(s). Click on install to download the necessary driver(s). AnyTrans for Android mobile version will be automatically installed on the device(s) after the download. (Note: This isn’t possible on Xiaomi devices, except you turn on the option to allow installing apps via USB, normally found at developer options window). Enable USB Debugging on the Android device(s) – (see how to do enable USB Debugging below). Allow the permissions requested by AnyTrans and start managing your Android Device(s) like a super user. Done with all the above-listed processes? You can start your journey with iMobie AnyTrans for Android PC suit. Cloning here means duplicating apps/functions. Therefore, cloning a device simply means making a secondary device act like the primary one. 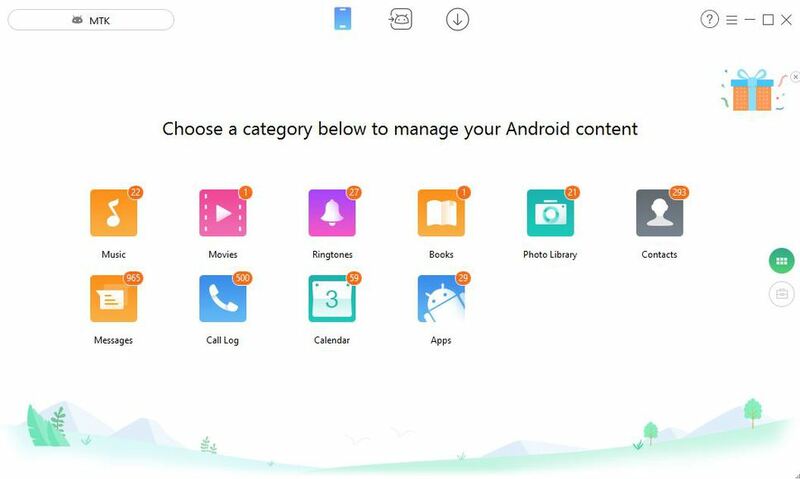 With iMobie AnyTrans for Android, you can transfer the device settings and data of an Android device to another, and both devices will act/behave alike. This section is self-explanatory. Add content allows you to transfer files/media/Apps/etc from your PC to the connected Android device(s). It doesn’t require many processes and the transfer speed is really fast. This section requires two Android devices connected to the Host PC using USB cables. It allows one to transfer the contents (call log, Messages, Contacts, etc) on a particular Android device to another one in a few clicks. Just like the Content to Device”, content to PC is a function that lets you create a local offline backup for your files and contents. 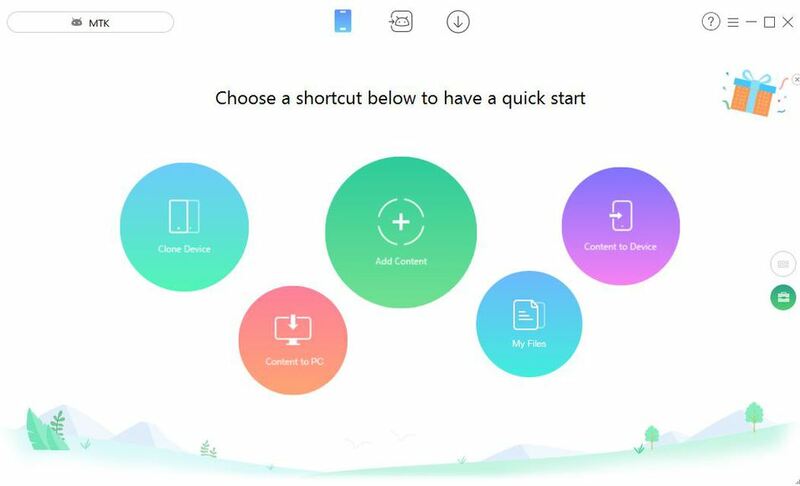 It lets you transfer the content of the connected device to the PC. The image below displays the categories/file directories transferable from the device to a PC. When you click on My Files directory, every file/folder on your Android device will be shown. You can access and manage your device contents with this tool. 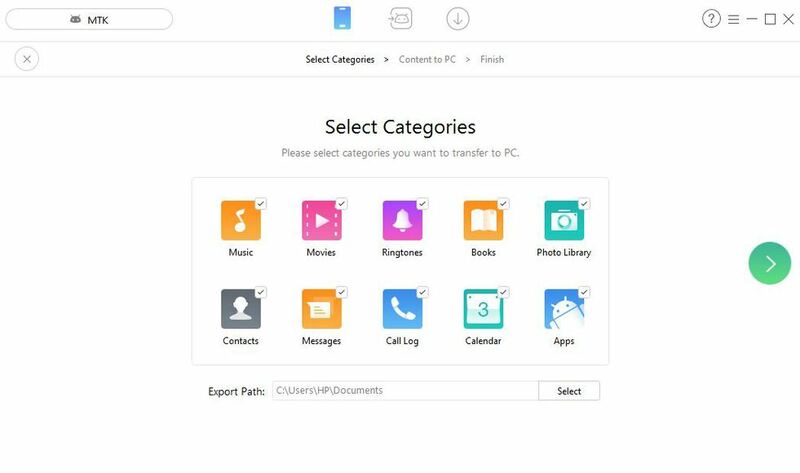 AnyTrans also works as a personal data manager, it lets you manage your call log, messages and calendar events right from your PC. Contacts Management: With iMobie AnyTrans for Android you can transfer contacts from one Android device to the other and also add contacts from a computer to an Android device. Messages Management: AnyTrans for Android allows you to export messages to a computer or transfer messages between Android devices in a few clicks. Call Log Management: This software app lets you move call logs between Android devices or a to a Computer machine. Calendars/Books Management: iMobie AnyTrans PC suit for Android devices lets you export/import calendars and books to and from a computer or between two Android devices. Apps Management: This simple tool lets one transfer Android apps to a computer or to another Android device(s) and also allows you import apps from a computer to an Android device. Now you can run your Android device as a Developer. Tap on the small round circle at the right end to activate it. Now you can go ahead and start using AnyTrans for Android PC SUIT. AnyTrans for Android is an intuitive software app, light-weighted and comes with a friendly user interface. I got one for myself from the company’s official website. All its sections (Clone Device, Add content, content to PC, content to device, my files) worked perfectly well with my MTK device and I am satisfied with the performance so far. With the app, I was able to do a local offline backup of my device files on the PC and also transferred contents from my Primary Android device to another with ease. 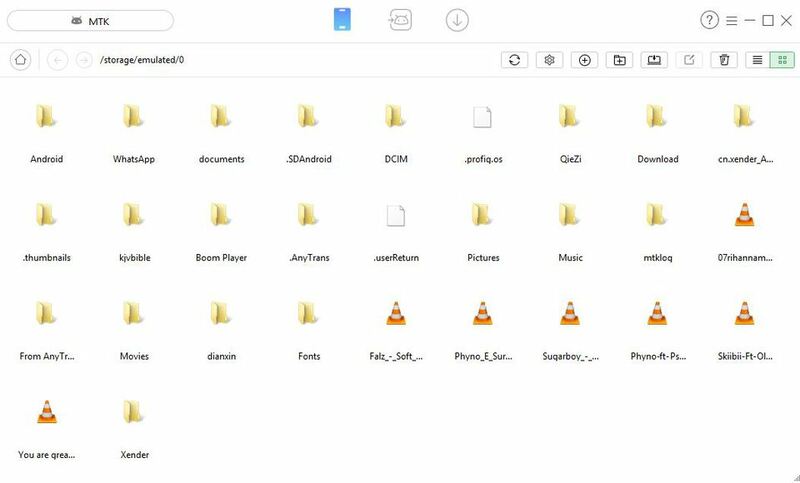 To crown up my level of satisfaction with iMobie AnyTrans for Android, I was able to manage every single file directory on my Device including my Applications, Messages, call logs, and calendar events on the PC. I equally tried the media downloading function and it worked perfectly well. In conclusion, I’ll say that AnyTrans for Android is a great device management tool with modern functions (like Media Downloader, Android Mover). It is available for MAC OS X and Windows PC users. For a limited time, iMobie Inc. (the owners of AnyTrans PC suite & other premium tools) is sponsoring a giveaway exercise that would not only let you get AnyTrans software for free, but also win a brand new Samsung Galaxy S8, HUAWEI Mate 10 and $20 Amazon Gift Card. This is how this giveaway exercise works: Everyone that visits the giveaway page is qualified for a free copy of iMobie AnyTrans for Android, while the other items are won via a contest. The giveaway exercise is on and would run through January 17, 2018 (Pacific Standard Time). You can use the link below to join the giveaway exercise. Have you used this software or any other device management tool in the past? Let us hear your reviews, opinions or suggestions via the comment section below. Good app review content. keep it up and remember to write more on this type of detailed reviews.